After an obligatory night shot (by christoph_bellin @ Flickr), a bit of info. Boldly curved, sharp up front and a white railing on top - all of this seems to suit a cruise ship better than a trade house. 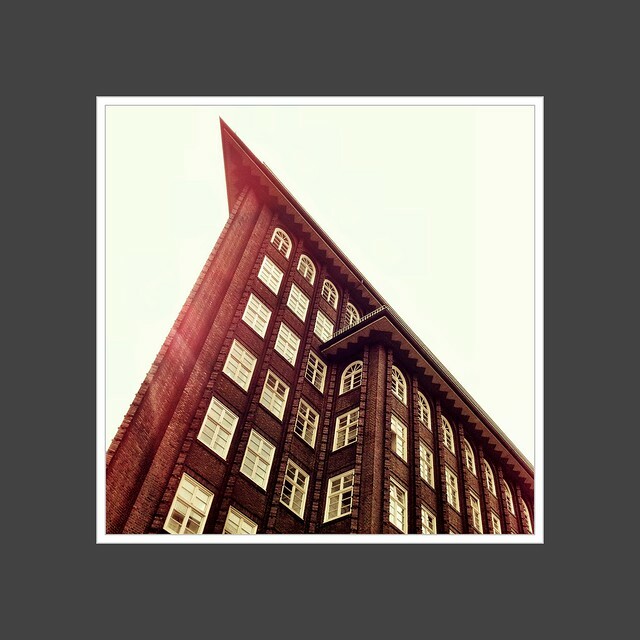 And still the Chilehaus in the traditional office quarter of Hamburg is one of the biggest offices of the city. It is known all over the world and the flagship of the city, so to speak. Henry Brarens Sloman, an English-born merchant, shipowner and mine owner had it built in 1922-24. 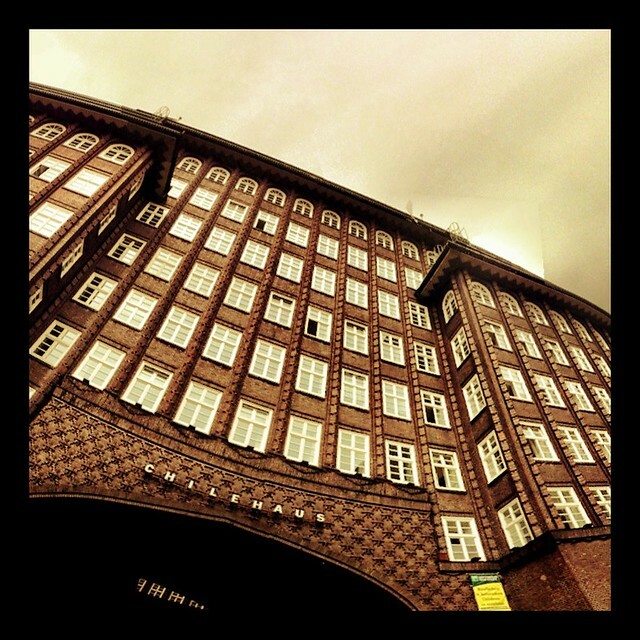 He made a fortune (some say, the biggest fortune in Hamburg) importing salpeter from Chile, hence his headquarter's name. 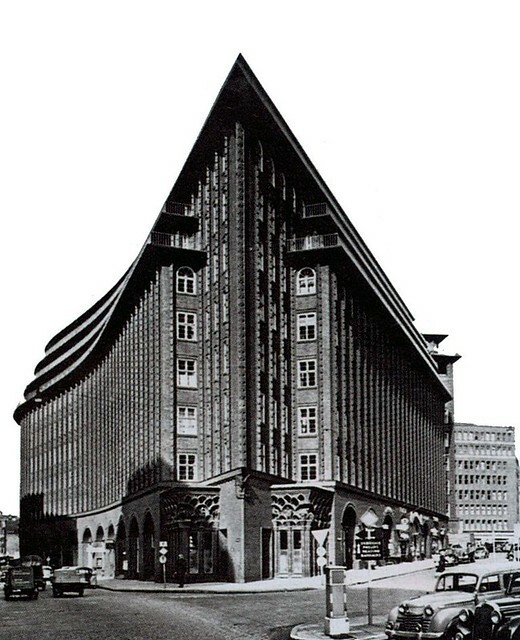 The architect Fritz Höger was contracted with building the Chilehaus and chose to shape it like a passenger steamer (see the plan? you can also click on it). 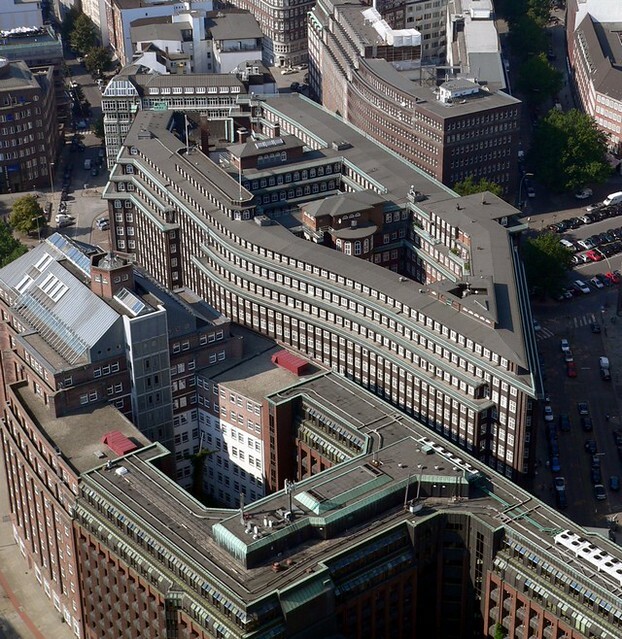 Made from 4.8 million bricks he built a striking 5,950-m² large base for this tremendous office and warehouse building. The construction cost was enormous for the period - estimated 10 million Reichsmark ($2.38 million). The tip of the building, often photographed, points to the east. At the top, the ten stories partly taper in terraces. 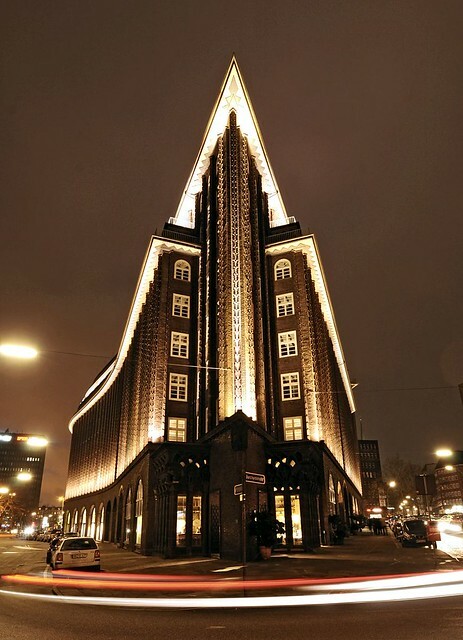 On the inside, the Chilehaus reveals itself as a child of its time; the sculptor and Richard Kuöhl, for example, decorated the facade, the entry area and the stairway with ceramic elements. 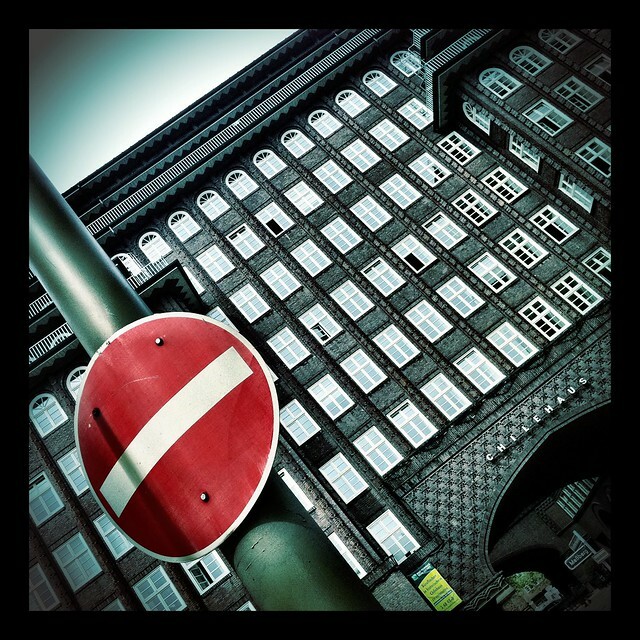 During WWII the Chilehaus escaped damage - an exceptional luck given the size of the sctructure and the intensity of Allied aerial bombardments, especially in summer 1943 when about 40% of all buildings in Hamburg were destroyed. 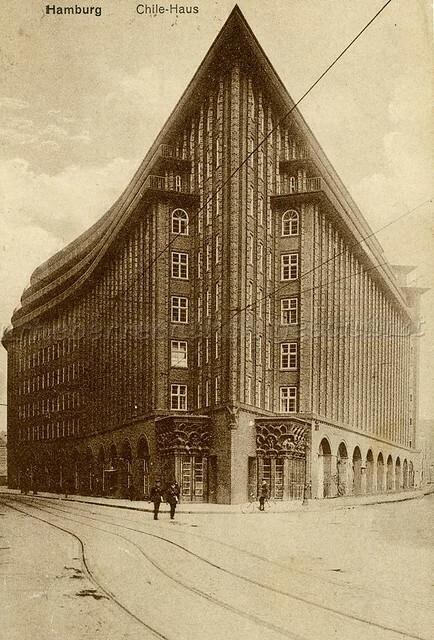 Herr Sloman - the man whose money made this impossible building possible - died long before the war, in 1931. 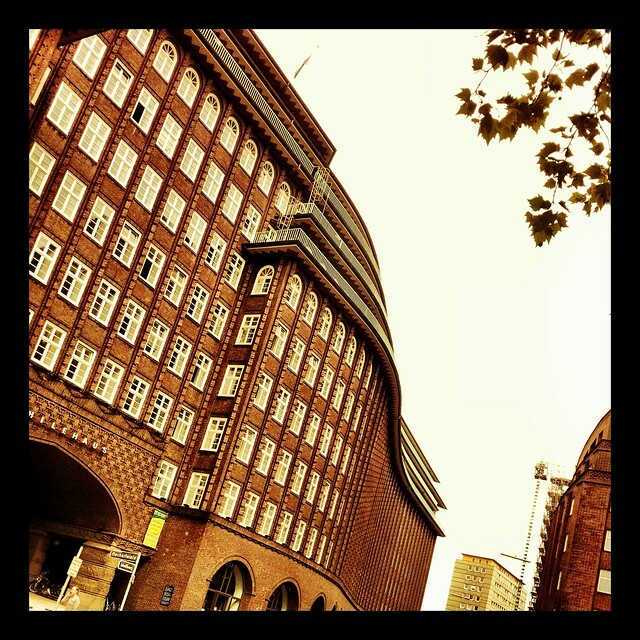 Herr Höger, the artist who created all these curves and angles, designed a lot of other buildings in Hamburg (incl. 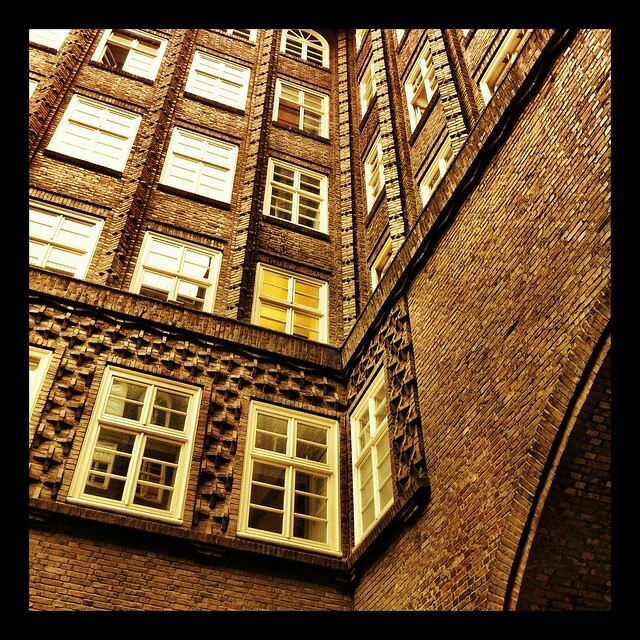 one wing of the Sprinkenhof, a later and larger neighbor of the Chilehaus) and elsewhere. He joined the Nazi party before Hitler came to power and became an active member of the Nordische Gesellschaft (Nordic Society), controlled by Alfred Rosenberg. But his political views didn't influence his style - he remained an expressionist while the Nazi leaders preferred stripped-down classicism. He died in 1949. As you see, the building occupies a vast city area, three blocks long. Each facade has its own distinctive shape. 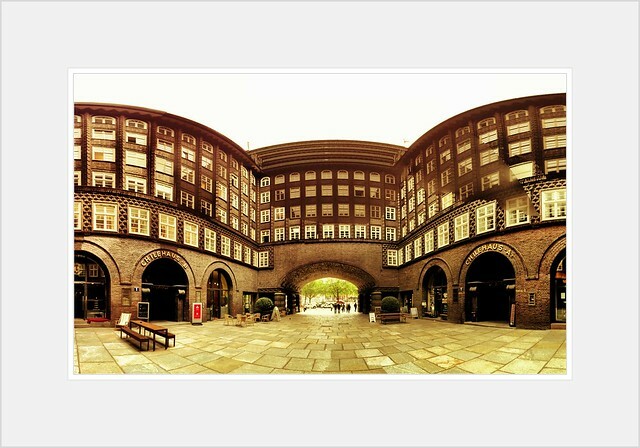 The Chilehaus is a leading example of German expressionist architecture. 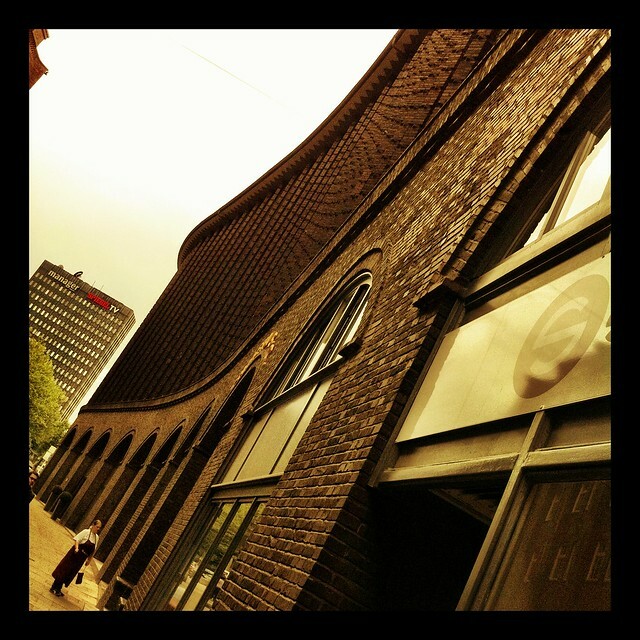 It's listed alongside other so-called 'Backsteingotik' buildings (Backstein refers to a specially glazed brick; gotik means 'Gothic'). The former headquarters of Sloman empire stay as symbol of the post-WWI recovery and became one of the city’s flagship buildings, along with the St. Michaelis Church. 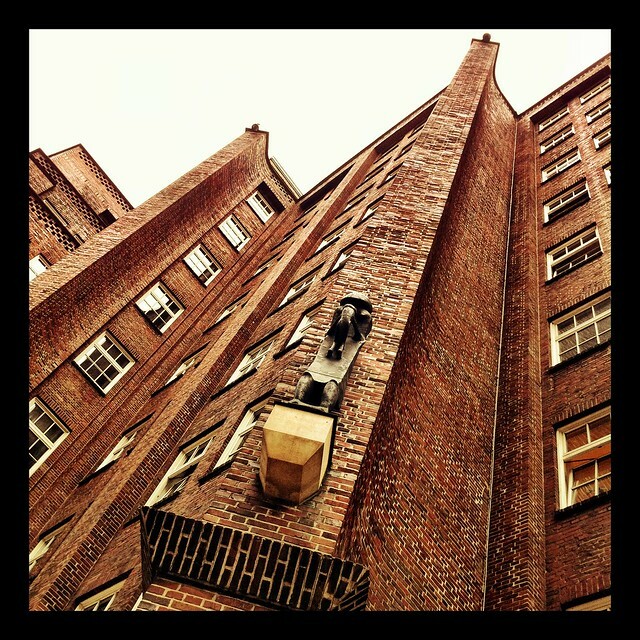 For over 50 years, this prestigious building has been home to companies from a range of sectors. 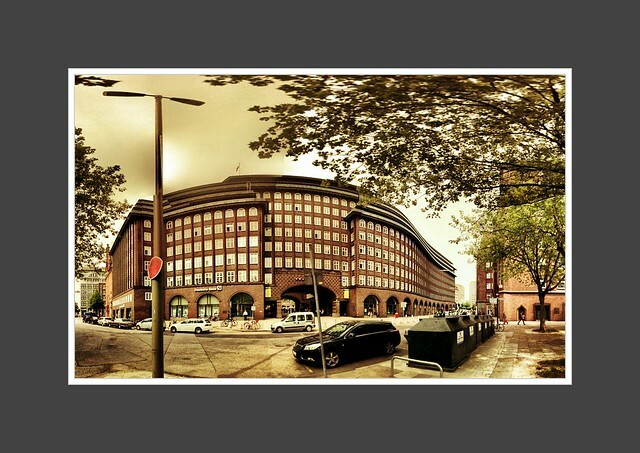 In 1993, it was acquired by Union Investment Real Estate GmbH (formerly DIFA). 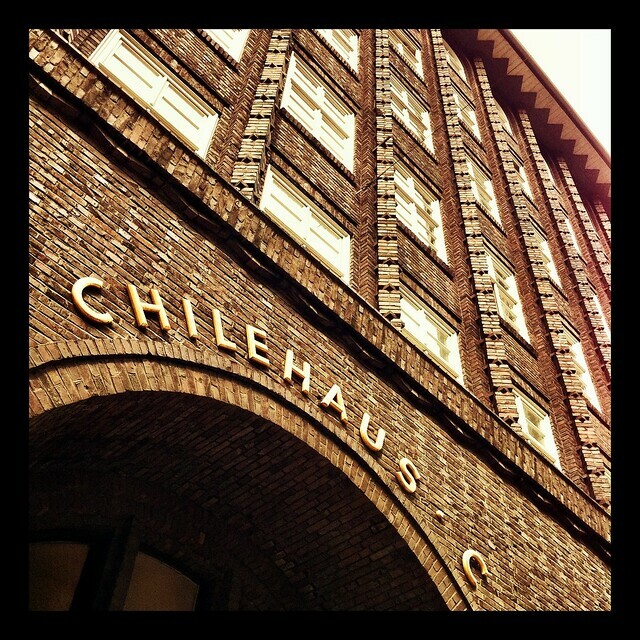 The Chilehaus has been a listed building since 1983. It was included in the nomination list of the UNESCO world heritage in 1999. Now the good reason. 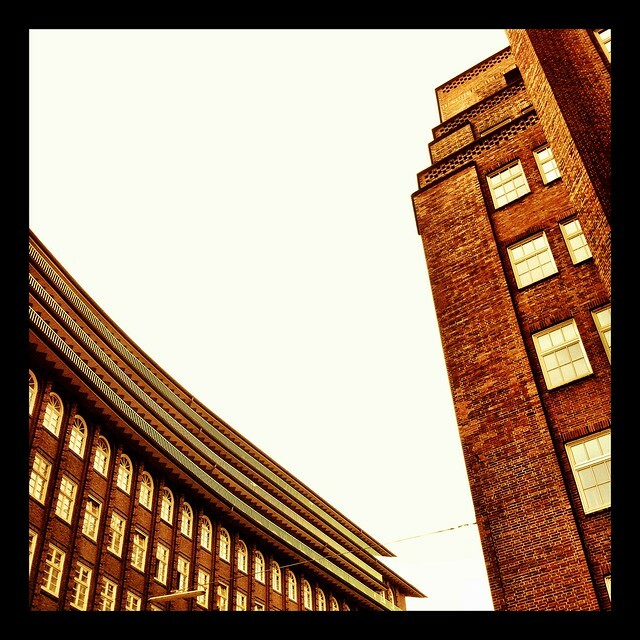 Of course there are countless photographs of the Chilehaus on the Web, but yesterday I stumbled upon something special - a set full of 1920s spirit, taken in May 2011 using iPhone 4. 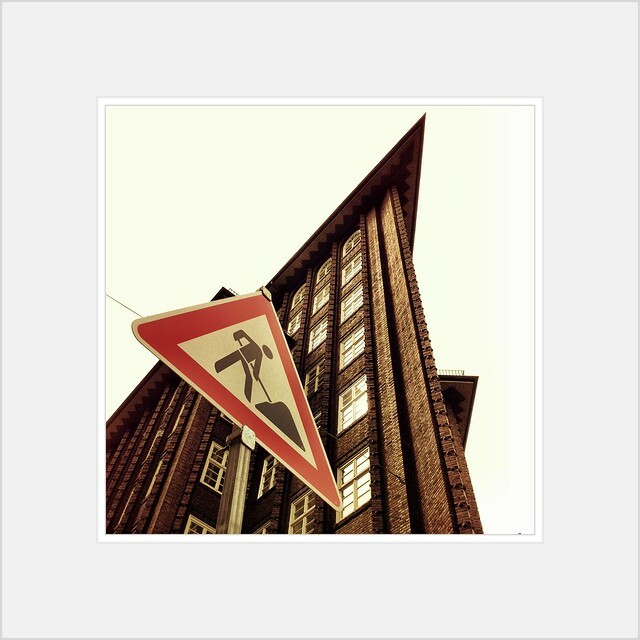 The photographer is Thomas Ulrich of LoboStudio Hamburg, and I'm happy to present his "mobile expressionist" work to our community. It's not "random", that the Chile-House looks like a Ship. 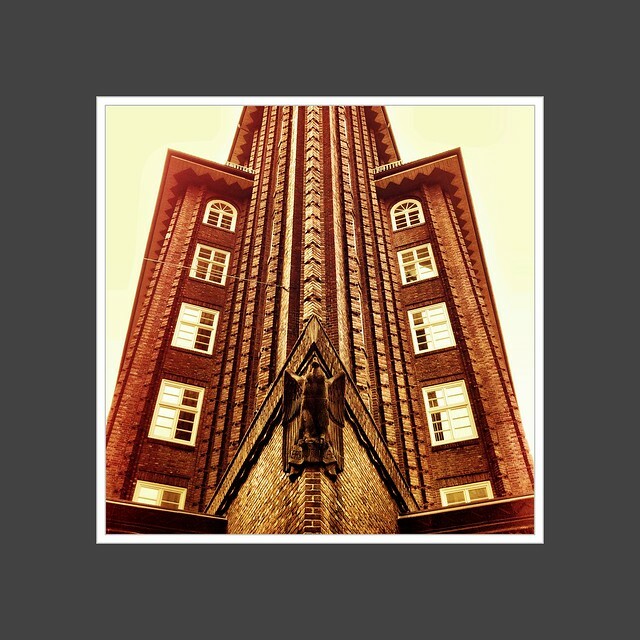 Hamburg ist the biggest german Over-Sea-Port with a long, long history of seafaring and trading with the northern and eastern peoples, starting thousands of years ago. The complete city is always worth a visit. Interesting bulding! The ship-like quality gives it an almost postmodern quality decades ahead of schedule. I love Herr Ulrich's impressions.